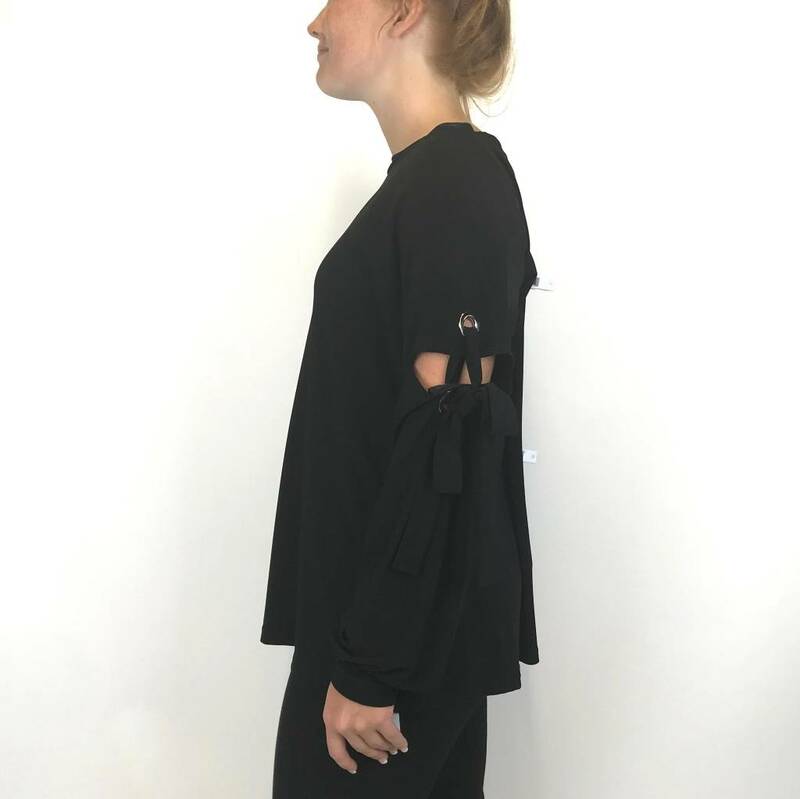 A long sleeve solid top with a tied and grommet elbow detail. Has a rounded neck and a loose body. 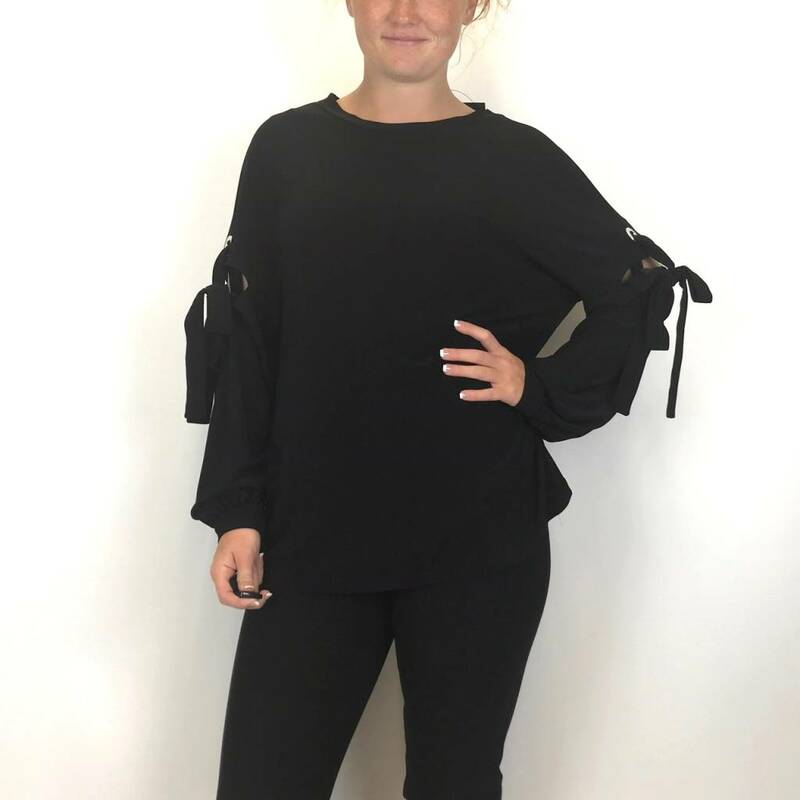 Looks great with a patterned pant or a dark jean too!